"The universe (which others call the Library) is made up of an indefinite and perhaps infinite number of galleries… Maybe old age and fear are deceiving me, but I suspect that the human species - the only one - is about to become extinct and the Library will survive: illuminated, solitary, infinite…"
Ever since the first "electronic abstractions" by Herbert Laposky in 1952, many artists have approached electronic and digital technologies. In Argentina, you can dredge up early productions made using computers going as far back as 1969 (1) . These early works were sporadic and unquestionably difficult. The technology used was costly and not within everyone's reach. It was as recently as the 1980s that companies decided to launch personal computers onto the market. The immediate acceptance of PCs, the meteoric growth in the area of computer technology and the sustained competition between manufacturers brought the price of hardware and software down, creating the conditions for widespread access to computers and a range of basic programs for handling and manipulating words, images, sounds and combinations thereof. Multimedia productions (as they later became known) were not far behind. The limited development of output support for digital works meant that traditional analogue media often had to be used to give material shape to the results. Paper and tape were the bases of the first digital productions, which meant that the reading of these works was largely limited to the sequential and linear nature of these supports. The true aesthetic innovations of digital creation had still not found the right vehicle in order to develop its full capabilities. It was not until the Nineties that the mass digital media that we know today - CD-ROMs and computer networks - really began to boom. With them came the first opportunity to restore to multimedia works one of their essential characteristics, interactivity. In its more pragmatic aspects, interactivity promotes an active, personalised and private relationship with the developments of numerical technology, the opportunity to combine different sensorial inputs and multi-form access to stored information. The relationship between the individual and the digital work is much less a conditioning factor than in many traditional propositions, stimulating as it does a more associative yet intimate realisation. Perhaps the keys to understand these works should not be sought in their final configuration but in the bases that support them. Binary language acts through dual options that produce divided structures. As in The Garden of the Forking Paths, by Jorge Luis Borges, the possible choices at each fork multiply the further you travel into the work. The final result is a complex, reticular structure somewhat like the rhizomatic structure (5) described by the philosophers Gilles Deleuze and Félix Guattari in relation to non-linear thought and language. Binary coding does not distinguish between words, images, sounds or their articulation: everything is reduced to the same language of noughts and ones. In this way, the passage from one regime to another is not only made easier but is also encouraged by the system itself. Multimedia productions set up trans-linguistic configurations in which the identity of the code involved is just as unstable as the unitary status of the work. The variety of manifestations of productions on digital media also destabilises the viewer's relationship with the work and the very act of receiving. "A multiplicity has neither subject nor object," Gilles Deleuze and Félix Guattari point out, "but only determinations, magnitudes, dimensions that cannot grow without changing its nature (the laws of combination grow, therefore, by means of multiplicity). "(7) In the realm of a shifting subject, a "surfer" or "explorer", contemplation gives way to creative participation in which the insecure updatings of the artistic object are defined and redefined. This migrant subject impresses its fragmentary temporality on the work. The duration of the stages of an exploration depends exclusively on its decisions, which are transformed into the momentary actualization of an array of potential audio-visual dispositions. This non-strict temporality is one of the most radical innovations of interactive media, one that identifies it as different to other audio-visual expressions such as cinema or video, in which the temporary image or sound is in fact fixed forever on the film or tape. This is, moreover, a contingent temporality. Unlike the narrative used as the basis for assembling sequential media like film and video - and which even determines the way we read a photographic image - CD-ROM and Web Art establishes a non-sequential narration, which is redefined with every selection the user makes. In 1962, the Italian semiologist Umberto Eco published his book Opera Aperta. Forma e indeterminazione nelle poetiche contemporanee, in which he reworked some of the concepts he elaborated a few years beforehand on the art of the end of the 1950s. His arguments went virtually unheard until Harvard University Press decided to produce another edition of the work in 1989. In its pages - which today are wide spread in the fields of aesthetic theory - he maintains, "in the work of art, the artist deliberately attempts to create an 'open' message which can be interpreted in different ways, and this openness is characteristic of the aesthetic message. "(9) It seems strange that a concept so important in present debate should have generated no theoretical output for almost 30 years. Nevertheless, the reasons for this can be imagined. Eco established that "openness" corresponded to the "aesthetic message" and that it was characteristic of "all art from all periods" and not just the art of his times. Despite this, Eco intuited the process that was leading towards works that were not only conceptual but also formally open. The participative arts of the 1960s were the gateway for a kind of work that could only be completed with the active involvement of its viewers. Interactive offerings today draw on this experience, projecting it through the aesthetic qualities of the new media. CD-ROMs and Web sites alike are the supports for works that give the spectator a fundamental role in determining their final form. There is, nevertheless, a fundamental difference between the two media, which directly affects their openness. Despite the host of possible combinations that CD-ROMs offer, all the conceivable versions are "definitively contained" on the shiny disk. For this reason, exploring an artist's CD-ROM is always a “private” experience; the computer is an intermediary between the artist's personal universe and that of the person looking in. Computer networks, on the other hand, offer the possibility of unbounded openness. Though many works continue to be closed and self-contained, others exploit the particular characteristics of a medium whose key is constant development and transformation. The prime examples of this are "works in progress". They contain no definitive outline but instead an aesthetic approach that varies over time and in accordance with surfers' interventions. In general, they are works that allow structural elements to be modified by possible visitors, a modification that remains in place until another surfer decides to change it in a process that has no apparent endpoint. (10) This uncertainty regarding the source and the final result is one of the most novel factors introduced by this technological medium and one of the most successful solutions to prevent the crystallization of the artistic object. Even though the means whereby a work comes to fruition via a CD-ROM and computer networks are apparently similar, the contexts surrounding the experience of them are unquestionably different. The surfer on the Web moves around in a circuit peopled with innumerable beings similar to him or herself conforming, whether they wish it or no, the foundations of a virtual community in cyberspace. Computer networks are in essence interconnected spaces. One link lead to another and any icon may be the way into an unforeseen space or a projection towards a new cyberspace highway. When you surf, you immerse yourself in a universe of never-ending migrations, an expansive nature that you will never come to the end of. Led ever onwards by computer languages, protocols, passwords and menus of options, the pilgrim amongst these networks is the incarnation of the post-modern inhabitant, a rootless being with the perpetual feeling of belonging nowhere yet at the same time filled with a need to find or shape a stable place. The absence of maps and signs leads to permanent bewilderment, at times exciting but not always gratifying. The innumerable enclosures and corridors on the Web are the modern version of the labyrinths of mythology, constructions designed to make man lose himself in interminable consecutive spaces. The Web is a place where you can let yourself be carried away; it gives you the opportunity to wander aimlessly through shifting lands, safe in the knowledge that you can enter and leave but with an uncertain journey between the starting and endpoints. In contrast with the homogeneity and uniformity of the Web, artists' sites put themselves forward as being different, as being places for reflection and contemplation. Sometimes the aim is to counter the universal, neutral style of Web design with signs of geographical location: the need to generate territories with a collective identity can become an aesthetic expression. Other sites do not have an anchor, either in geographical space or in the "international style" typical of the Web. Inspired by the artists' imagination, by the synthetic universes of graphic design, or by the imagery of science fiction stories, hi-tech and phantasmagoric worlds emerge which are the correlative of an estranged reality and of a reality yet to be discover. Despite its dramatic expansion, the Internet remains an unexplored place, a virgin territory that is full of possibilities. Plunging into it is not that different to immersing oneself in the infinite space of the celestial universe. It is, however, clearly different to the solitary, extremely private experience of the explorer of a CD-ROM. Even if the interactor of a work for the Web does not make effective contact with other surfers in tele-presence, the existence of these "technological others" constantly constitutes the context of their navigation, an existence that is, all the while, implicit in the language of the work. With the rise of capitalist societies and the role of mass media within them, graphic and audio-visual designs have become important to an unwonted degree. Designers have gradually been replacing artists in the production of symbols for society. The specialisation in its language has slowly been eliminating any remaining ambiguity in the graphic environment, in line with functionalist postulates that aim towards communicative simplicity in messages. The works on CD-ROM and the Internet reinforce the leading role acquired by design in recent years, but by means of a movement that reclaims its language for art. On their hyper-designed screens we once again see the ambiguity and multi-semantic nature of aesthetic products. The compositional norms in design - structural simplicity, semantic clarity, economy of means, use of a socialised language and directionality in the reading - are used by artists according to their own aims, thereby destabilising the rules established in the design world. Disorientation is more common in CD-ROMs given that the risk of the explorer deciding to abandon the path is lower with this medium; therefore their hyper-media compositions can achieve a high degree of complexity. On the Internet, complex pages are difficult to penetrate, and disorder can make the surfer give up their journey. Nevertheless, it is possible to create extremely complex structures using other approaches, such as links - multiple connections - that produce the same kind of labyrinthine systems. The sustained development of software has given artists some astonishing tools. The ever-increasing complexity of technology has given its output an equally “techno-look”. Technological metaphors are frequently turned into science fiction images, hyper-dynamic icons, transitions through dematerialisation, mechanical or electronically enhanced noises, futurist designs and a whole host of themes and offerings with an “advanced” look. Self-referential elements also appear assiduously, reinforcing the impression that the future is invading the present. References to the languages, codes and programs themselves are not, however, simply decorative elements. They point to a field of reflection and a search for specific properties, a task that concerned many art forms in their early days. They also comprise fertile ground for questioning compositional norms and procedures in the framework of metalinguistic thinking, oriented towards the significant elements themselves rather than towards the themes that they express. By their very nature, digital formats can appropriate materials from all kinds of different sources. This hybrid nature is revealed in the numerous references to the mass media, history of art, advertising, the bible of science and technology, media stereotypes or the entertainment industry, appropriated as ready-made (12) into its products. Stored in a small shiny disk or lying in cyberspace, there is an entire universe of associations seeking to unfold on our computer screens. The viewers, transformed by the programs and the electronic prostheses into a simulacrum of themselves, jump from one page to the next, delve into the depths of a flatland, guess imperceptible links and ventures out along thousands of unknown paths. This separation leads to frequent contrasts between lives on either side of the screen. Many people take on different personalities when they communicate through e-mails or when they enter chat groups. As the "real being" remains outside the computer, the "virtual character" does not need to preserve the attributes of its creator. Computer networks are the ideal sphere for acting out all kinds of fantasies, and it is no coincidence that cyberspace is plagued with sexual offerings. Given this scenario, it is no coincidence that the issue of identity should figure so prominently amongst the reflections of contemporary art. The question goes beyond the specific sphere of "virtual masquerades"; nevertheless, computers universe has made a significant contribution towards the reconsideration of the limits of one's body and of individual and collective identities taking place at the turn of the millennium. Artistic incursions into digital media have tended to reflect on this situation and have, in part, sought to reverse it. Through complicity with the surfer, historical and autobiographical details, the establishment of private codes or the creation of a distinctive universe that tends to undermine the homogeneity of commercial products, the authors of CD-ROMs, and fundamentally those who intervene in the World Wide Web, are seeking to "re-embody" computer users through a language aimed at their many sensorial responses, their choices and their capacity for reflection. Link_Age. Muestra Internacional de Arte Participativo On-line y Off-line (cat.). Oviedo: Cajastur, 2001..
(1) That year, Jorge Glusberg got Argentine artists together with the members of the Computer Technique Group in Japan to promote a series of works produced with computers. These pieces were later exhibited at Bonino Gallery in a show entitled Cybernetic Art. (2) Schultz, Margarita, El Golem Informático. Notas sobre Estética del Tecnoarte, Buenos Aires, Almagesto, 1998. (3) Giannetti, Claudia, "Arte e Hipermedia: Proyecto y Proceso Reactivo" in Zehar, 31, San Sebastián, summer 1996. (4) Berenguer, Xavier, "Promesas Digitales" in Giannetti, Claudia (ed. ), Arte en la Era Electrónica. Perspectivas de una Nueva Estética, Barcelona, ACC L'Angelot/Goethe Institut Barcelona, 1997. (5) Rhizomatic structures make up highly interwoven systems that have no single point of origin or order, unlike systems based on tree or root like structures. For more precisions, see Deleuze, Gilles & Guattari, Rizoma. Introducción, Mexico, Coyoacán, 1994. (6) Huhtamo, Erkki, "Digitalian Treasures or Glimpses of Art on the CD-ROM Frontier" in Hershman Leeson, Lynn (ed. ), Clicking In. Hot Links to a Digital Culture, Seattle, Bay Press, 1996. (7) Deleuze, Gilles & Guattari, Félix, op. cit. (8) Brea, José Luis, "Nuevos Soportes Tecnológicos, Nuevas Formas Artísticas (Cuando las Cosas Devienen Formas)", published on Aleph Web site (aleph-arts.org/pens). (9) Eco, Umberto, Obra Abierta, Buenos Aires, Lumen, 1992. (10) An example of this kind of work is The File Room by Muntadas, an archive on the Internet on cases of censorship in the history of the arts, complemented by information provided each day by visitors to the site. 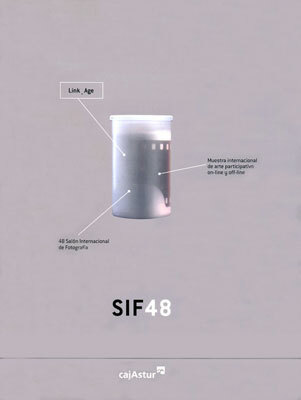 (11) A more extensive development of this issue can be found in Alonso, Rodrigo, "La Subversión del Diseño en el Arte Contemporáneo" in Revista del Instituto de Investigaciones Estéticas, 6, San Miguel de Tucumán, 1995. (12) Ready made, as practised by its creator Marcel Duchamp, consists of choosing a mass-produced object and presenting it as a work of art. For an aesthetic characterisation of the ready made, see, amongst many other works, De Duve, Thierry, Kant After Duchamp, Cambridge, The MIT Press, 1996, or Genette, Gérard, L’Oeuvre de l’Art. Immanence et Trascendance, Paris, Editions du Seuil, 1994. (13) The CD-ROM Eve by Peter Gabriel is an example of the use of the video game format for aesthetic purposes. (14) Davis, Douglas, "The Work of Art in the Age of Its Digital Reproduction. An Evolving Thesis 1991-1995", published on the ArtNetWeb website. (15) Biggs, Simon, "Multimedia, CD-ROM and the Net" in Hershman Leeson, Lyn (ed. ), op. cit. (16) Boyer, Christine, Cybercities, New York, Princeton Architectural Press, 1996. (17) Turkle, Sherry, Life on the Screen. Identity in the Age of Internet, New York, Simon & Schuster, 1995. * This article is an expanded version of an article published in the magazine Observador Daltónico, 1, Buenos Aires, 1999.